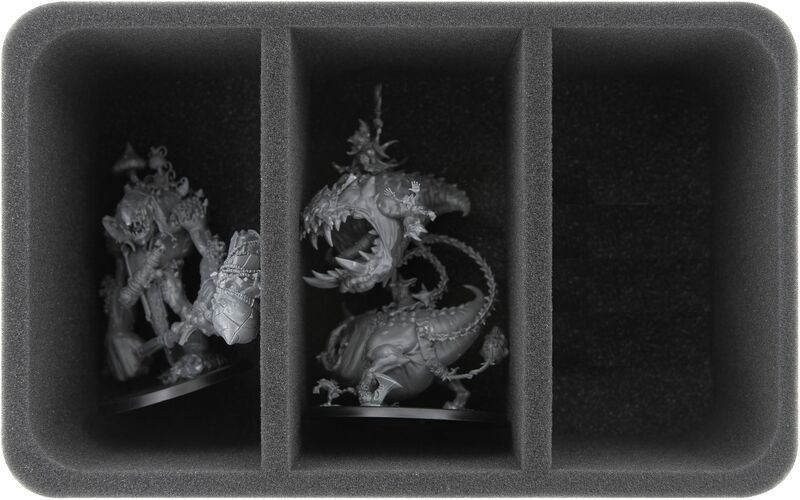 Arachnarok Spider, Skagrott the Loonking, Troggoth, Mangler Squigs – Our Double-Size storage box, jam-packed with custom foam, will hold them all. 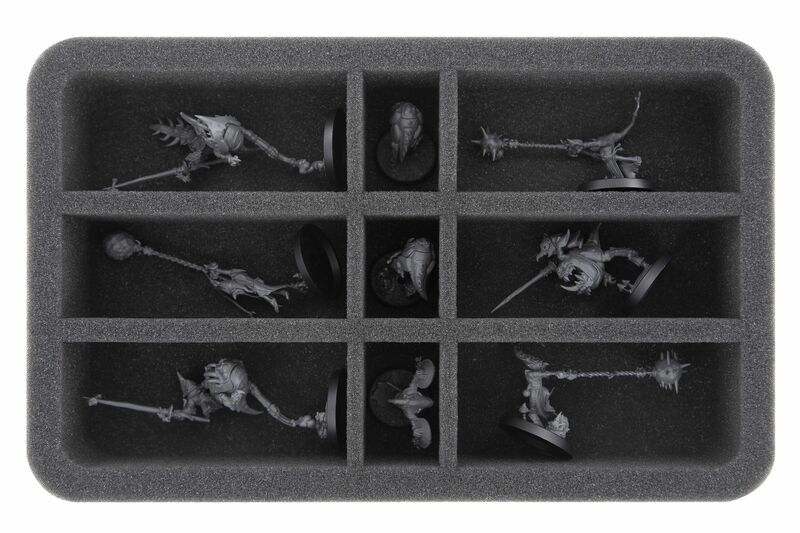 The tray for Arachnarok Spider and Mangler Squigs is two-part. 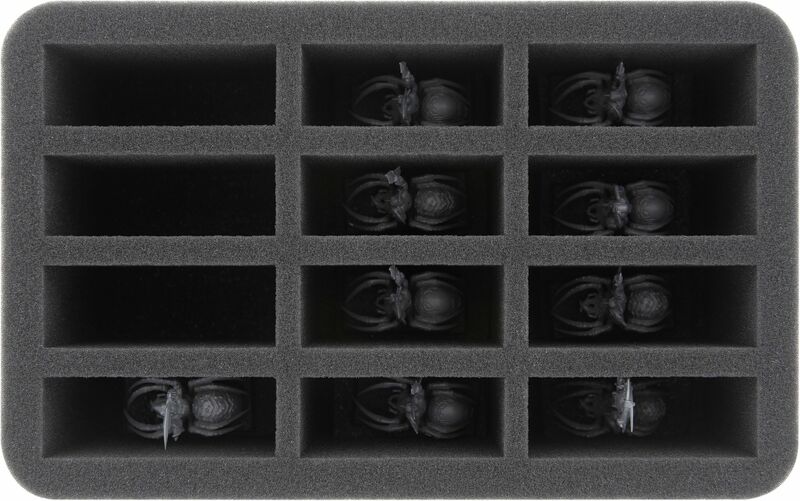 The large compartment of the lower tray accommodates the manned Arachnarok. 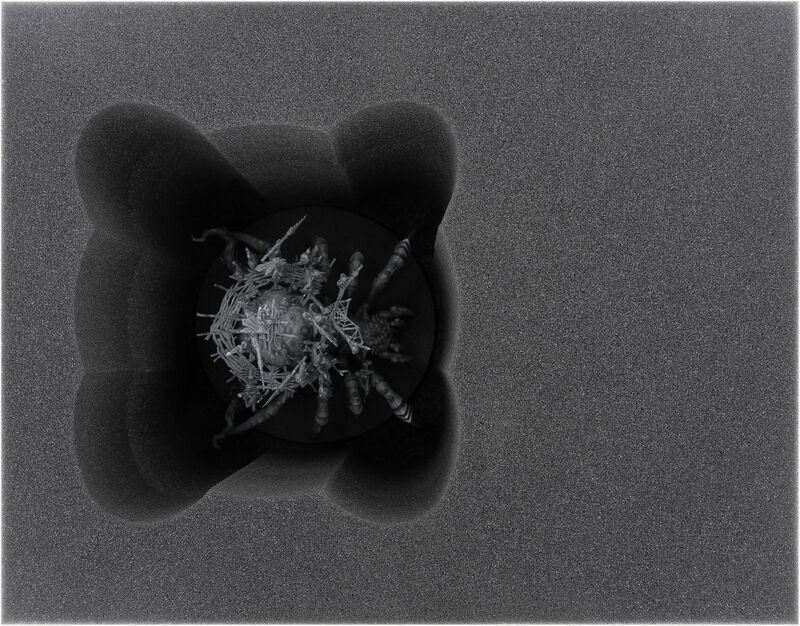 Thanks to the exact custom-cut, the filigree figure remains in its softly padded place even during transport. 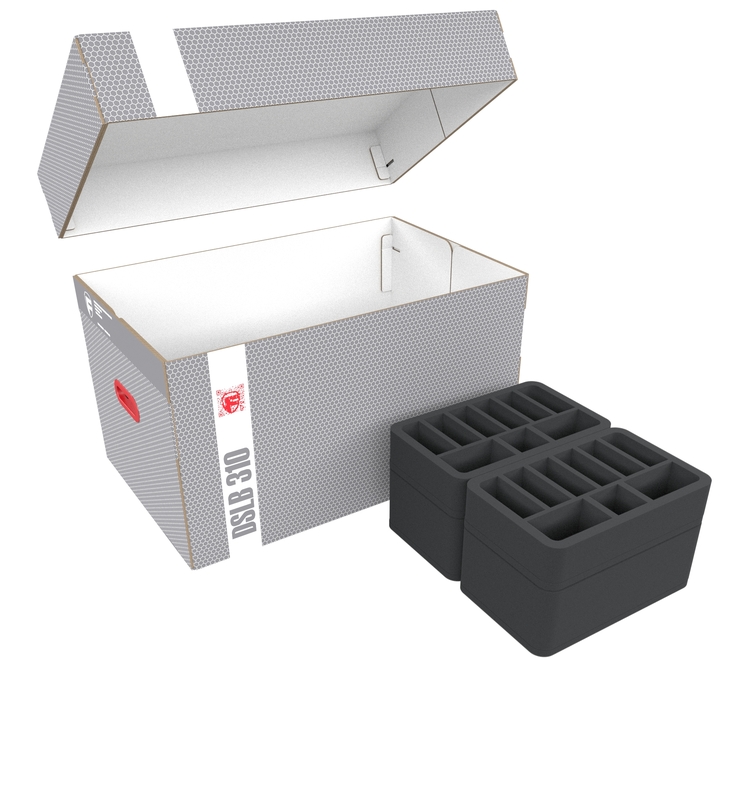 The sensitive parts are optimally protected from damage and no Grot falls off the platform. The colors of the painted miniature are also safe from abrasion and scratches. 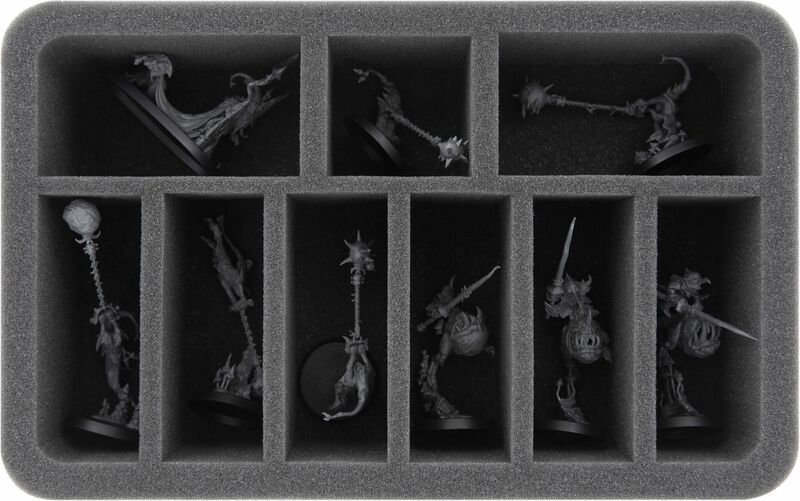 Next to the spider there is also a custom-fit compartment in which the Mangler Squigs are calm for once. Balls, chains and crew are absolutely safe here. Once you’ve placed the models in the lower tray, just lay the upper tray on top. The upper tray features a custom cut-out for the howdah which is thus gently engulfed and the Mangler Squigs is covered. 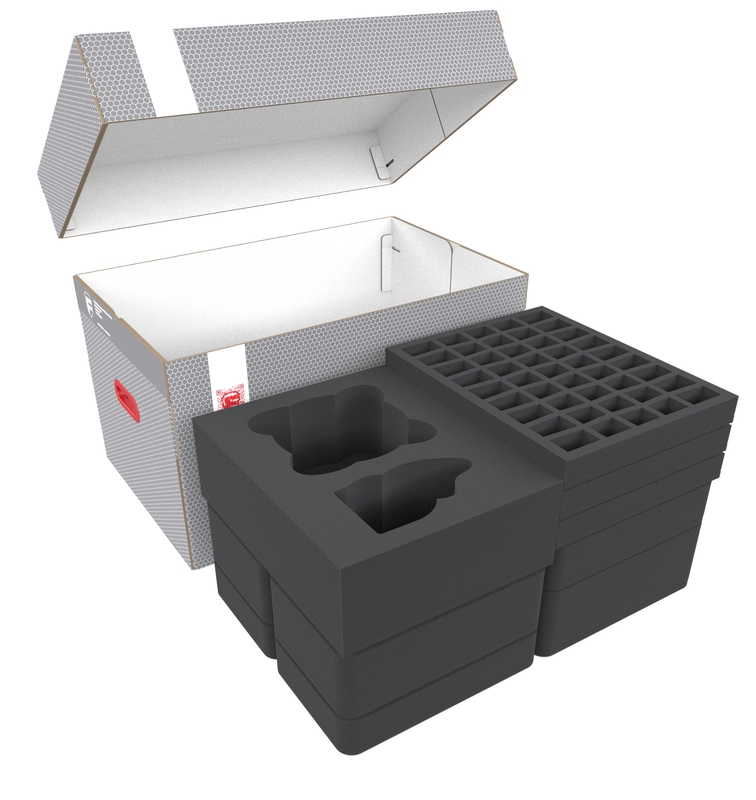 The two foam trays for the large models have 3 compartments each. 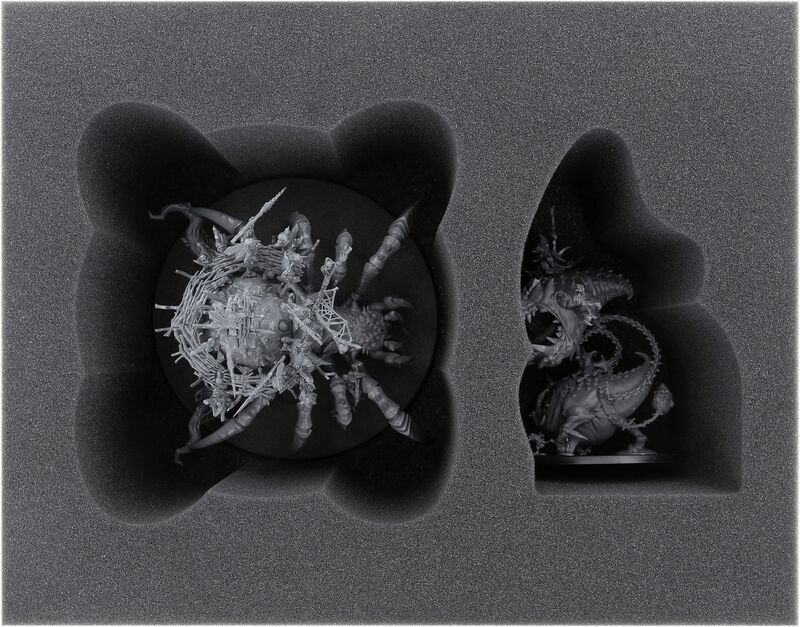 The tray is ideally suited for miniatures like Dankhold Troggoth (also as Boss-variant), Gargants, or Mangler Squigs. 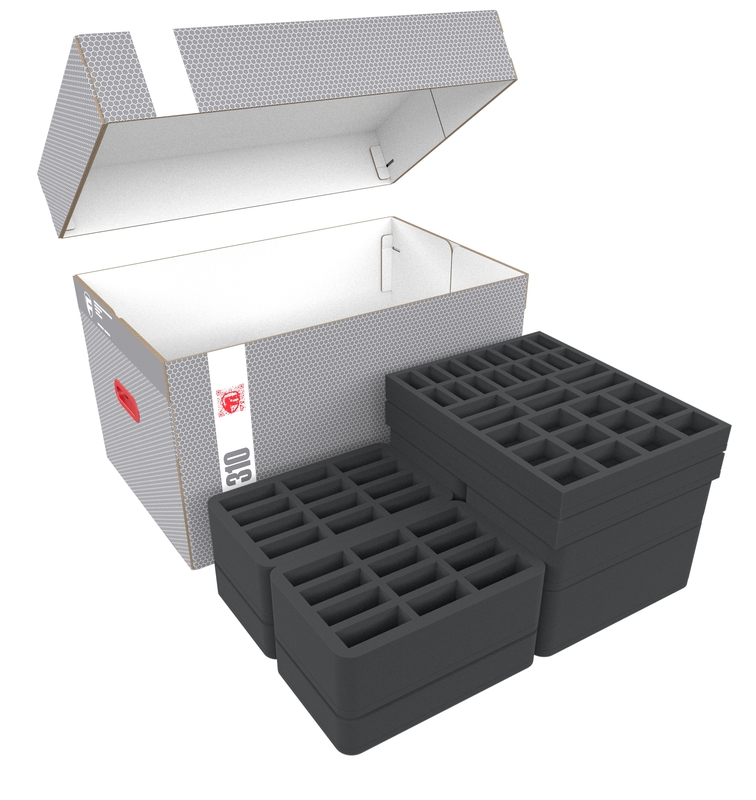 Each of the 3 compartments of the two trays is 150 mm long x 79 mm wide x 90 mm deep. 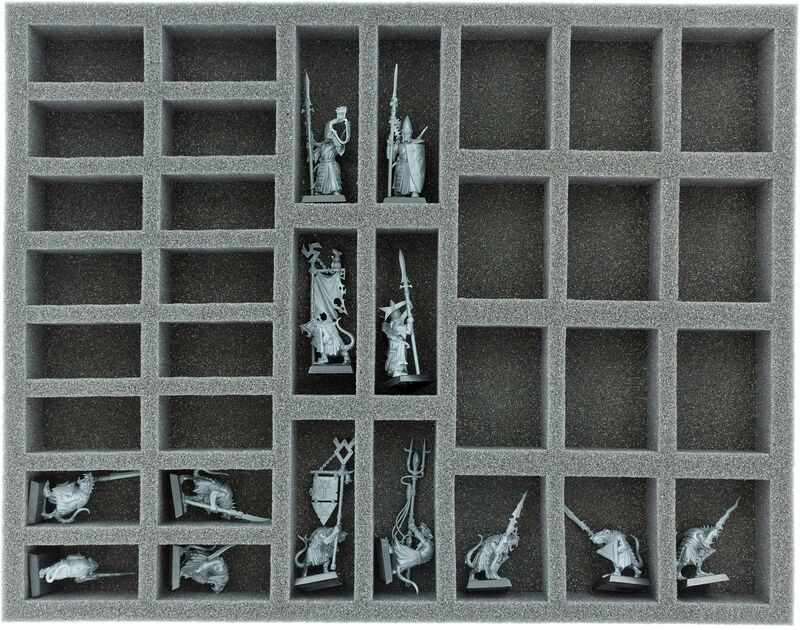 The two trays for Squigs, Stabbas and Shootas are divided into 45 compartments each. 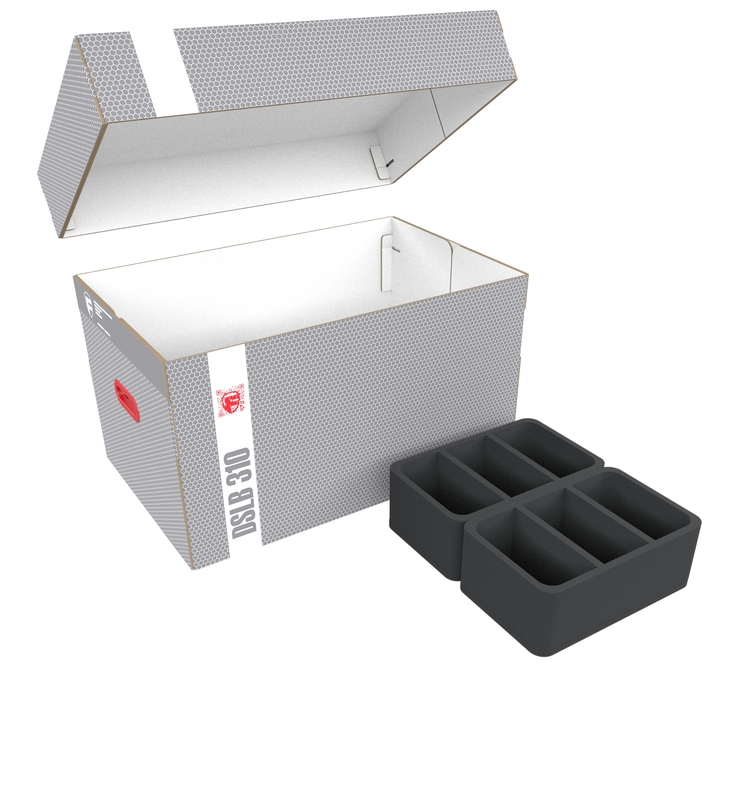 The compartments are conically shaped for optimum usage of space. 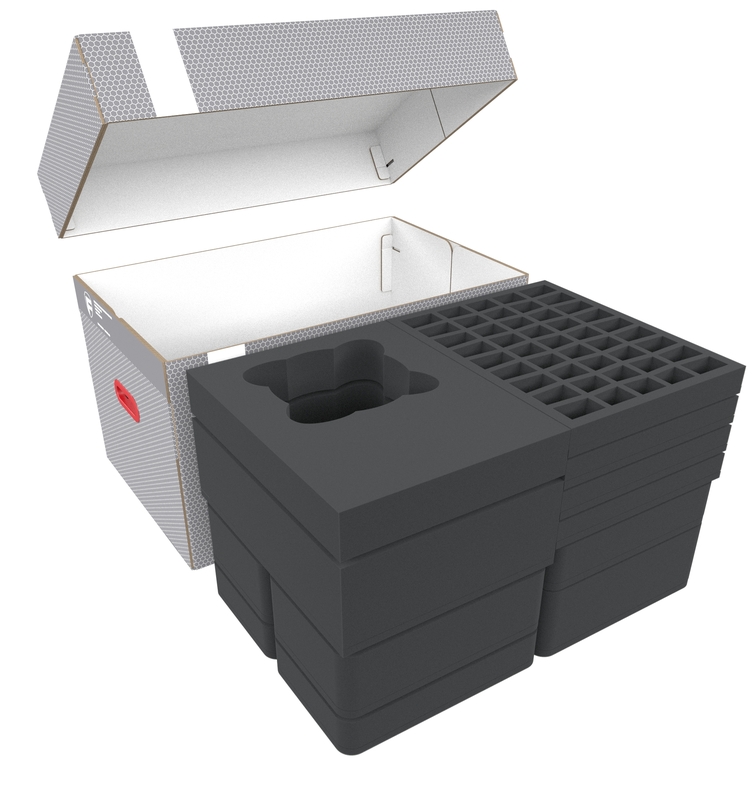 The foam tray with 34 compartments is suited for small models like e.g. Squigs and for long models on up to 25 mm bases. 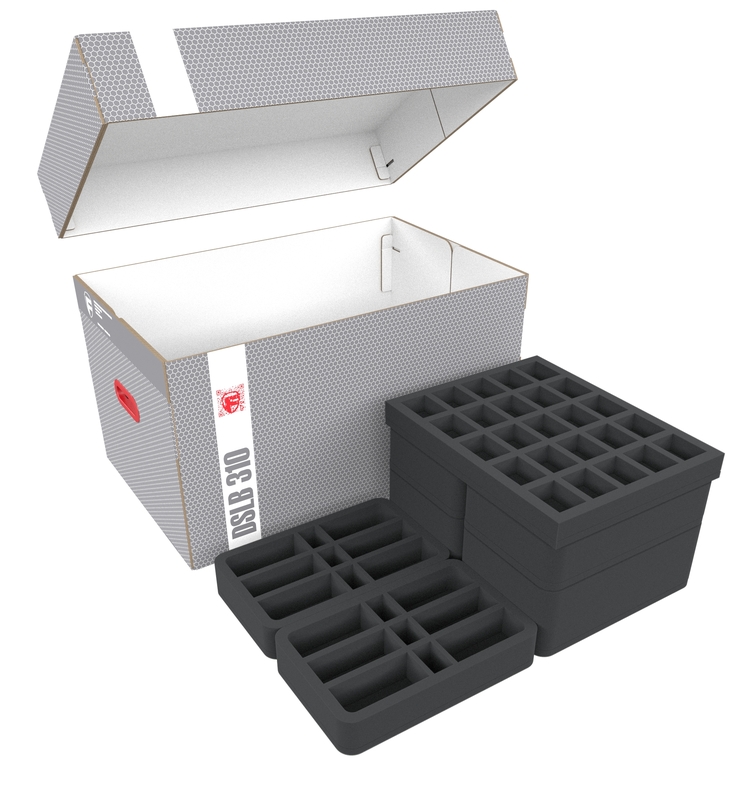 The foam tray with 25 compartments is suited for medium-sized models. 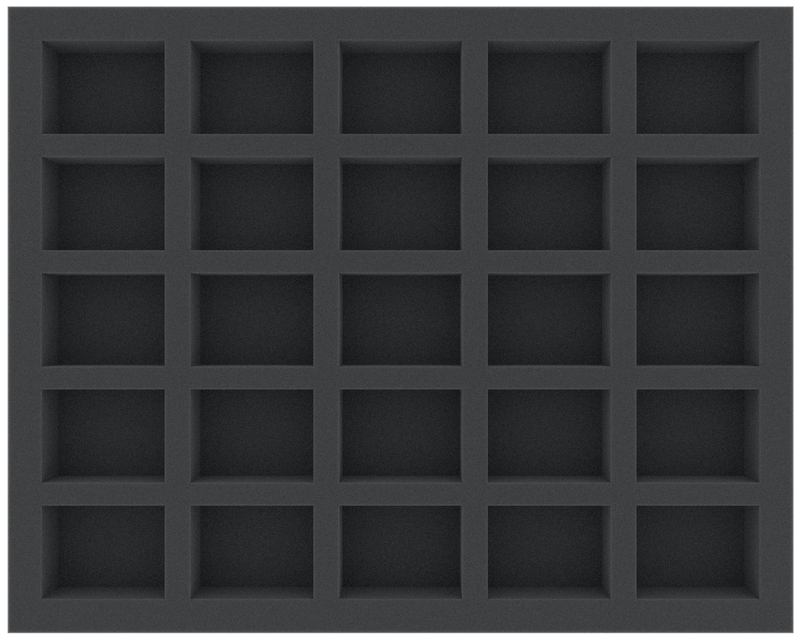 Each of the 25 compartments of the tray is 54 mm long x 41 mm wide x 30 mm deep. The set is completed by the matching foam topper. 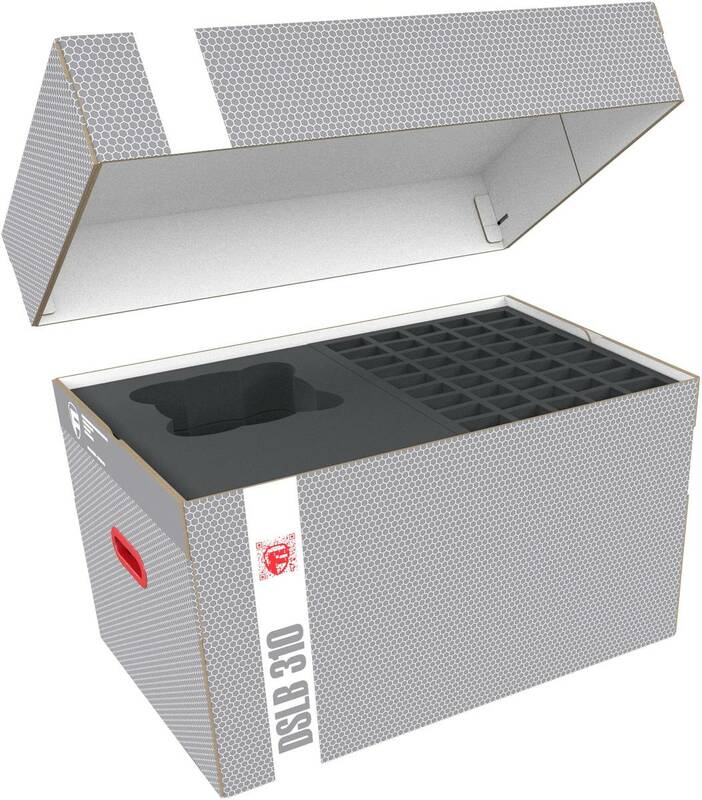 The topper ensures that nothing can fall out of the trays or bump against the lid of the storage box.